Here is an article written by nobleloaded.blogspot.com to inspire and motivate us. I hope this lovely post inspires you. ENJOY! 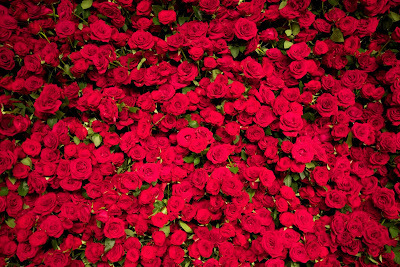 Life has never presented itself as a bed of roses, and would never be even to the most affluent or the downtrodden of any given region, owing to the fact that it poses the most fierce and unwarranted battle for survival, that far encompasses even the most dreadful physical battle that could eventually ensue between man and a hungry lion. Often time our demands and expectations are all a mirage, just like a river that has over-flooded its boundary. We kept asking over and over again, our wants are too numerous as well as insatiable, and means to satisfy them are limited. Life in itself is engulfed with legion of surprises, inevitabilities and uncertainties, on the premise that survival strategy that wear a blossom outlook today, will seem gloomy tomorrow. That is the true picture of Life, the pros and cons facet of it, as well as the ups and downs of it. Ironically, Life has never been static at any point in time, rather it has consistently revolved via a pipeline, or fast track of dynamism, that renders it very unpredictable and blurred. More so, it unleashes mysterious outcome that leaves us at the cross-road, and wanting to unravel the lest cue in ameliorating or revamp the immediate ugly predicament that we may be trapped in between at that particular point in time. Worse still, both the rich and the poor are not spared to this mishap and life's uncertainty. permanently, and may be shut behind us as well, because life is not static. Interestingly, our turning point in life isn't the same as some might erroneously anticipate, a step that wore a glamorous outlook or prospect for Mr 'A' yesterday may signal doom to Mr 'B' today. Again, our priorities, aspirations, objectives and goals in life differs, owing to the fact that some may think rationally, while some irrationally, some objectively, while others subjectively, these makes a whole lot of difference in our strive for survival, to crown it all, some prefer to embark on a step at a time, some twice, while for others thrice to Liee struggle. However, whatever your circumstance may turn out to be, be the architect and originator of your start off margin, or Life struggle blueprint (plan), never ascribe to the popular syndrome of "Follow, Follow", an advocacy that majority carries the vote. Copying people's life style can ruin your appetite to struggle, and to a state of redundancy that has eaten deep into the minds of many today. The bottom line here is, get started, one step at a time, forward ever, backward never, do not recline for a second, rather incline to forge ahead. In a nut-shell, if you cannot fly Run, if you cannot run, walk. If you cannot walk, crawl. By all means keep up the spirit of struggle for survival and light in you burning, because you never can tell where your success lie, the journey for survival must be on-course, because life is not a bed of roses. "...get started, one step at a time, forward ever, backward never, do not recline for a second, rather incline to forge ahead. In a nut-shell, if you cannot fly Run, if you cannot run, walk. If you cannot walk, crawl. By all means keep up the spirit of struggle for survival and light in you burning, because you never can tell where your success lie, the journey for survival must be on-course, because life is not a bed of roses"
This brought so many thoughts to mind.